The Oprah Winfrey Network launched on Jan. 1, 2011. Oprah Winfrey meditated with more than 400 women in southeastern Iowa and also talked to students about her spiritual journey. Suzanne Stryker says she was among the women participating in the transcendental meditation Wednesday at the Maharishi School in Fairfield. 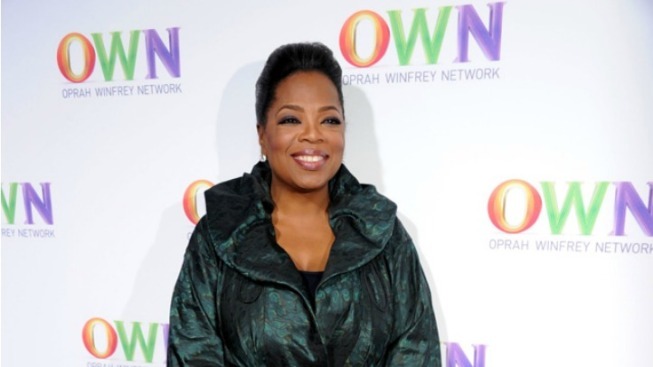 She says no one in the meditation group knew the TV personality was going to be there until Winfrey, who heads the OWN television network, arrived with a film crew. The private Maharishi School specializes in "consciousness-based education" for kindergarten through 12th grade. Director Richard Beall says on the school's website that Winfrey spoke with students about her spiritual journey. He says the school will host a discussion Monday night about the visit. A message left Saturday for Winfrey's production company wasn't immediately returned to The Associated Press.